William R. Vanecek, Director of Aviation for the Niagara Frontier Transportation Authority, was flying high on May 11 as he was inducted into the Aviation and Space Hall of Fame. Since 1985, the annual ceremony has been recognizing individuals who have made a significant contribution to aviation and aerospace on the Niagara Frontier. Past honorees have come from Calspan, Bell Aerospace and Moog. Vanecek has been honored for fostering the Niagara Frontier’s current revolution in commercial flight. Starting with the debut of the current Buffalo Airport terminal, Vanecek has overseen three major expansions, all necessitated by the success of the airport. 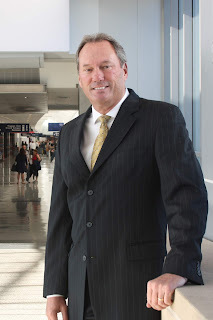 Vanecek also orchestrated construction of the new Niagara Falls International Airport, which has attracted several low-cost airlines, and served has a huge boon to the community.